I'm a bit late to the game with this "news," but better late than never. 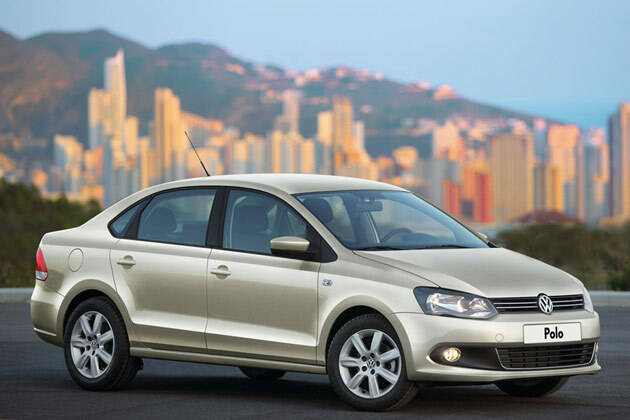 Volkswagen may have the same thought regarding the 2011 Polo Sedan, too. Well, at least in the U.S. The photo above is the Polo for the Russian market, however, the North American market is supposed to get the Polo, too. The Russian market variant will be powered by a 103 horsepower 1.6-liter mated to an automatic or manual transmission. VW hasn't had a model under the Jetta/Golf in the States since the Fox, which ceased U.S. sales in 1993. VW would join a few other mainstream companies (e.g. Mazda, Mitsubishi, Ford) that are about to reenter the b-segment. It's likely the States will get the sedan. No word on whether VW will release the hatchback version here. This is where the rumors start. Now that Volkswagen holds a 20% stake in Suzuki, there has been chatter about VW not importing the Polo hatchback for fears the (hopefully) upcoming Suzuki Swift hatchback might cannibalize sales of a Polo hatch (vice versa?). Whether there's an ounce of truth to that, I can't confirm. All I know is, we'll likely see the Polo at dealers within the next year. I see a lot of people confusing this and the new Jetta. They look very similar. ...which doesn't bode well for it, the Jetta being VWoA's cash cow.